Pinellas County with our Global Tampa Bay partners announced that the participating companies in last month’s export sales mission to Panama have projected future sales and economic activity of $7.35 million as a result of the trip. Highlights of the trip included the Ambassador’s Reception where Commissioner Karen Seel, Chair of the 2019 Pinellas Board of County Commissioners, touted the advantages of the Tampa Bay region for growing businesses. Learn more about future trade missions with Global Tampa Bay and services to help your Pinellas businesses with exports by contacting Brent Barkway at bbarkway@pinellascounty.org. Pinellas County offers customized assistance for export planning and can serve as a single point of contact for international business programs available at Federal, State and local levels. We provide assistance with trade mission planning, including Gold Key matchmaking events, international marketing plans, and international trade show grants. If you're considering new international markets for your business, contact Brent Barkway at (727) 464-7411. Sign up for email notifications regarding all of our international initiatives and trips. Global Tampa Bay announced today that the participating companies in October’s export sales mission to Santiago, Chile have projected future sales and economic activity of approximately $3.35 million as a result of the trip. Eight companies from the Tampa Bay region participated in approximately 53 meetings with potential customers that resulted in the expected export sales..
Forty-one business leaders and elected officials from the Tampa Bay region traveled to Mexico to participate in the first official mission conducted as Global Tampa Bay, formerly the Tampa Bay Export Alliance. Fifteen local companies participated in the U.S. Commercial Service's Gold Key Services Matchmaker program, which conducted approximately 80 meetings with potential customers that resulted in actual and expected export sales. The mission resulted in projected future sales and economic activity of approximately $35.3 million. 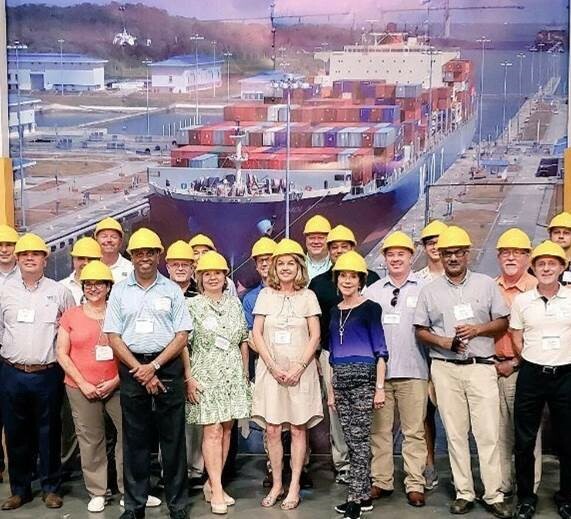 The Tampa Bay Export Alliance's Export Sales Mission to Bogota, Colombia was a resounding success for the nine companies (four from Pinellas) and twenty delegates that participated. The mission resulted in projected sales of $6.9 million and $700,000 in sales closed during the mission. "The trade mission to Costa Rica was one that allowed the Tampa Bay region to shine across sectors," said Mike Meidel, Director of Pinellas County Economic Development. "We were encouraged to see companies in industries from pharmaceuticals and manufacturing to fuel management and authentic craft brewing joining us for this mission and finding a receptive market for their products and services." Export Alliance group returns from Chile with good leads: Five Pinellas companies sent representatives to Chile: Hydro-Dyne Engineering, Custom Manufacturing & Engineering, Inc., Eckerd College, Grinder Wear Parts, and SOS Technologies.The result? An anticipated $9 million in export sales - a resounding success, as told by participants at a press conference/mission recap upon their return. PICS: View photos from Chile and the recap/press conference on our Facebook page. Tampa Bay Market Assessment of the Brookings Tampa Bay Metropolitan Export Exchange Initiative: Explore more about Tampa Bay's Export challenges, how we can cooperate to compete, the region's export industries and top Tampa Bay export destinations. Target Sector Trade Event Grants are available from Enterprise Florida to qualified Florida companies to offset costs for some of these events. Click here to learn more. Florida's Export Directory, List Your Company- Take advantage of this opportunity for increased international visibility. The Florida Export Directory partners with The Export Yellow Pages, the official export directory of the U.S. Department of Commerce. Foreign-trade zones (FTZs) continue to drive the U.S. economy by saving companies money and preserving jobs in the US manufacturing sector. Data contained in the newly released: "The Impact of the Foreign-Trade Zones on the 50 States & Puerto Rico" (Pinellas is on Page 26) indicates that FTZs play an even more important role in driving the economy. Learn more about Pinellas County's FTZs. Contact Brent Barkway at (727) 464-7411 or bbarkway@pinellascounty.org for additional assistance. The United States Trade and Development Agency (USTDA) assists in the economic growth, and pursues U.S. commercial interest, of developing and middle income countries. The agency funds various forms of technical assistance, early investment analysis, training, orientation visits and business workshops that support the development of a modern infrastructure and a fair and open trading environment. The USTDA offers business opportunities abroad to domestic firms through contracts providing technical assistance or training, or conducting early investment analysis/feasibility studies. For more information about the USTDA and their current grant and contracting opportunities for US companies, visit www.ustda.gov/.